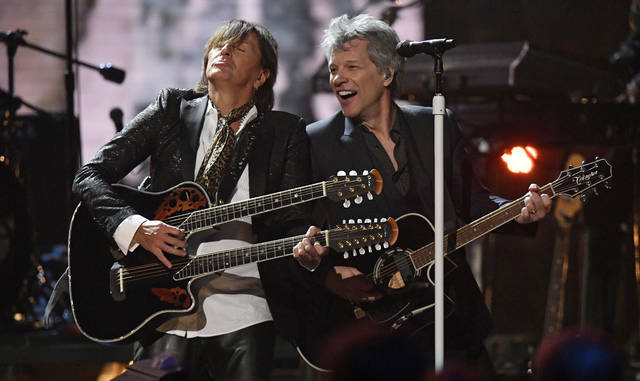 CLEVELAND (AP) — Bon Jovi reunited onstage with former members for a powerful performance celebrating its admission into the Rock & Roll Hall of Fame, and the late icon Nina Simone was welcomed to the prestigious music club with show-stopping performances from Lauryn Hill and Andra Day. 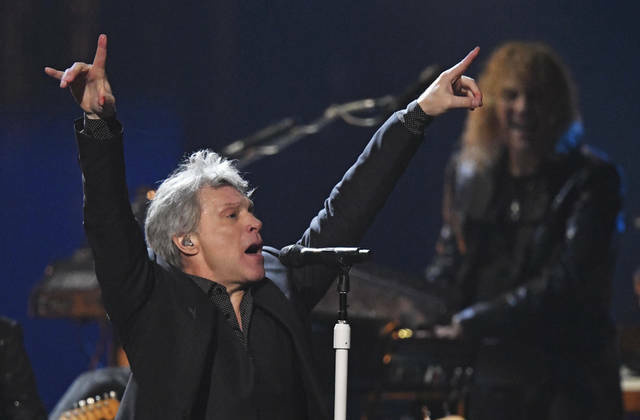 Bon Jovi’s portion of the four-hour-plus event ran an hour-long Saturday night, with Jon Boni Jovi giving a lengthy 20-minute speech onstage. He said he had been writing the speech for years. Hill was exceptional, stretching her voice as wide as possible, and singing in French, in honor of Simone’s music. Hill earned a standing ovation from the audience. 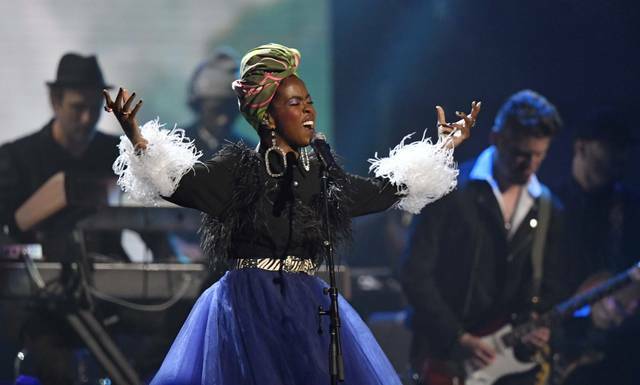 “Her voice was so distinctive and powerful and I never heard anything like it,” the R&B superstar said. “They said I had three minutes, I said, ‘No, I don’t.’ I’m going to take the time necessary to say what I got to say,” Waymon said. Waymon said sharp words during his speech, including lines like, “To all the brothers out there, protect your sisters.” He said he always protected Simone, and continues to do so. Later in the event, Ann Wilson of Heart and Jerry Cantrell honored Chris Cornell with a commanding rendition of Soundgarden’s “Black Hole Sun.” Cornell hanged himself in a Detroit hotel hours after a Soundgarden concert there last May. Rock Hall voters have recently opened their hearts to progressive rockers, which benefited “Nights in White Satin” singers The Moody Blues, the last act to be inducted Saturday. Illsley thanked the entire band and described the group as “a collective, a brotherhood.” The band did not perform after speaking. Tharpe died in 1973 and was a pioneering guitarist who performed gospel music. A video package featuring past interviews from Johnny Cash, Aretha Franklin and others praising Tharpe’s musicality aired at the event. Tharpe earned the “Award for Early Influence,” while the other five acts were inducted as performers.